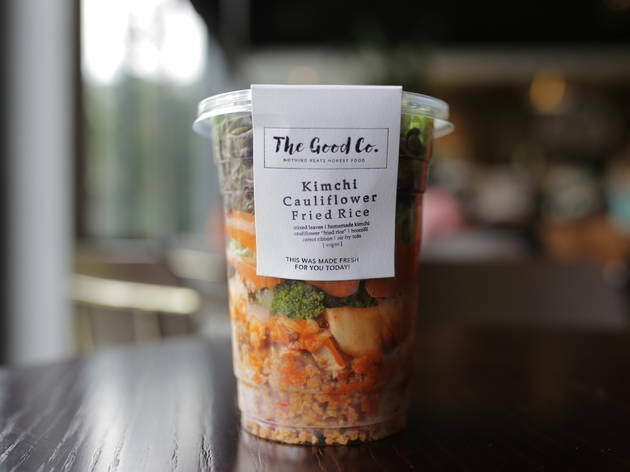 You might miss The Good Co if you aren’t in the know; the healthy eating café is tucked inside Bon Estates Gallery opposite Bangsar Shopping Centre. Once you get there, scan the meatless menu that includes salad pots, sandwiches, dessert jars and cold-pressed juices. 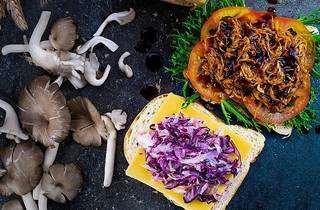 Mentions of meat pop up in the menu, but just know that they’re plant-based meat substitute instead of actual meat; for instance, ‘pulled beef’ that's made from shredded oyster mushrooms. 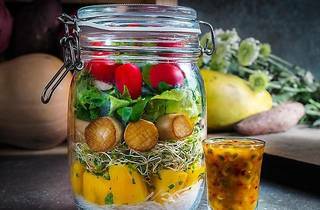 For a leafy meal that fills you up, go for the salad pots. 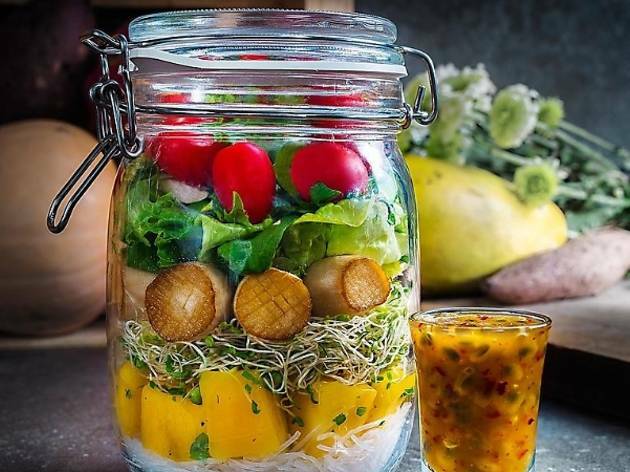 Ingredients range from grilled eryngii mushrooms, pesto quinoa, cauliflower rice, tempeh and more, but we like the Scallop dee-kap salad that contains grilled lemongrass ‘scallops’ (made from mushrooms), mango, glass noodles, mixed leaves and passion fruit Thai dressing. 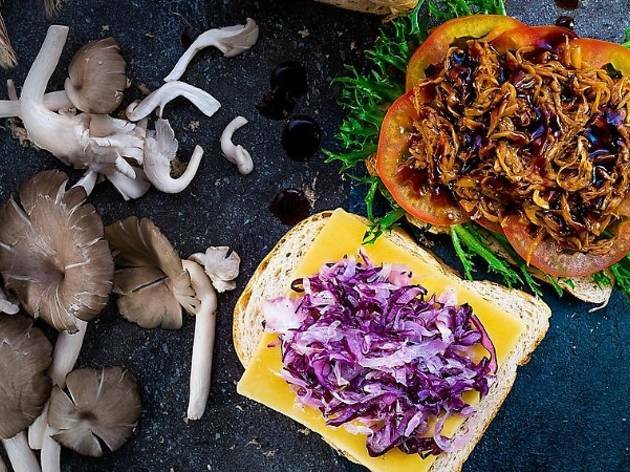 If you’re hankering for bread, The Good Co whips up thick sandwiches with bread made from organic ingredients. Try The Hulk — rye bread stuffed with avocado mash, arugula, cream cheese and pepper relish. For sandwiches with a bit more bite, the Daging Tarik comes with pulled shredded oyster mushrooms and Batavia lettuce. Once you’re done with your #cleaneating meal, wash it down with the café’s cold-pressed juices. The Go Away Doc (passion fruit, orange, apple, carrot and chia seeds) or the Skinny Dip (lotus root, green apple, jicama, lemon, wild honey and mint) should do the trick. For those on the go looking for an energy boost, get the aptly named Energy Jar filled with carob (a healthier substitute for chocolate), peanut spread, yogurt, chia seeds, overnight rolled oats and granola. Coffee here is supplied by VCR. Beautiful & cosy ambience with healthy yet delicious photo worthy food. 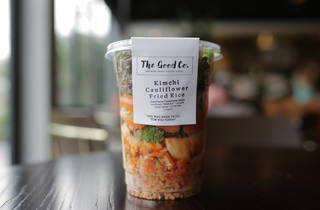 I totally dig the level of food creativity and definitely bringing Malaysia healthy food to the next level. Best part is the pricing is affordable and theres NO service and gst charge because it's a fast grab and go concept. So expect a fast food service rather than a full on restaurant service although when it's less crowded, the staff can be really nice to serve you.